Geraghty, Dougherty, & Stockman, P.A. has been proudly serving Southwest Florida for more than 20 years. From its inception, our goal has always been to provide the highest quality legal services to our clients, while keeping costs and expenses at a minimum. We appreciate and understand the individualized needs of every client, and tailor our services to fit the unique facts and personalities involved in each case. The firm practices almost exclusively in the general area of civil litigation, which means most of the legal matters at the office involve prosecuting or defending a lawsuit. 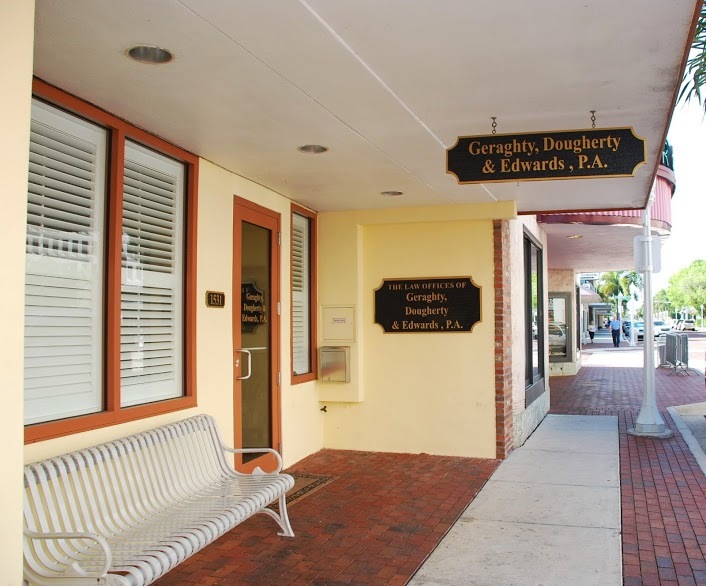 With over 80 years of combined experience in the practice of civil litigation, the attorneys at Geraghty, Dougherty & Stockman can provide you with the assurance that your case will be well handled and vigorously fought for. Although we deal with lawsuits on a daily basis, we understand that you do not, which is why our attorneys recognize it is their obligation to be directly involved in every aspect of your case to ensure it moves efficiently through the judicial process. As our client, you will be dealing directly with your attorney and will not be delegated to support staff. If you do find yourself in the unfortunate situation where the prospect of a lawsuit is a reality, it is of the upmost importance that you have someone that you can trust to intelligently and professionally navigate you through the litigation process. The process and outcome of a legal dispute can drastically affect your life, which is why the selection of your attorney should be done with diligence and care. We highly advise you to interview and meet with several attorneys during your search for the right lawyer. Make sure to ask them the tough questions, and do not be afraid to decline their services if you are unsure. If you are in need of an attorney, we invite you to interview here and ask us the tough questions. Feel free to contact us and we will work with you to set up a time to sit down and discuss your case. Thank you for considering Geraghty, Dougherty, & Stockman P.A.